The best protein smoothie of all time. Well, at least for me. Next best thing than blending up actual Reese's Peanut Butter Cups! Epic taste! Mix all ingredients together in blender making sure no peanut butter gets stuck on the sides. Feel free to add or subtract ice and skim milk for your preferred thickness. 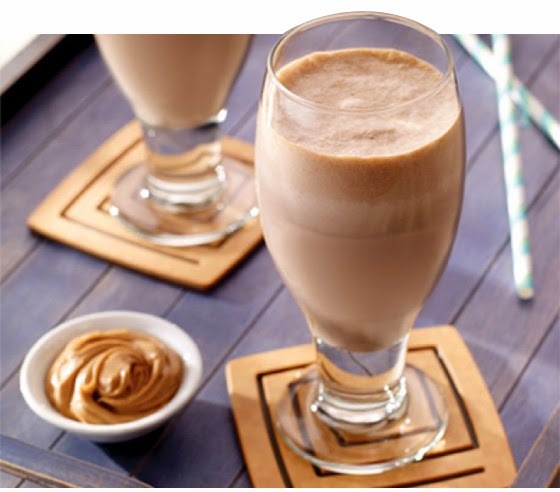 Serve as a breakfast or post-workout shake or just a healthy and filling snack.